Dallas Personal Trainer - Its very rare to see a Dallas Personal Trainer having his/her client do this exercise. However this is not because it lacks value but rather because it is a very athletic exercise and the personal training industry is currently undergoing a major trend/fad towards "functional training" which in reality is often very UN-functional because it is so rudimentary and nonathletic. What could be more functional that the ability to jump and land safely? What happens if you trip on the stairs? Or if you dog sprints under your legs as you turn the corner in your hallway at home forcing you to jump and land slightly off balance? These are precisely the situations in which many people get injured due to lack of coordination in a REAL environment. Jumping, landing, etc is a part of life and mastering the ability to do this exercise enables a person to more easily prevent injury in their daily life. Obviously we are firm believers in the idea that Dallas Personal Trainers should incorporate more truly functional exercises in to their clients' training programs. Most gyms have plyometric boxes, usually called plyo boxes for short. They come in a range of heights ranging from about 1 foot tall to 4-5 feet tall. 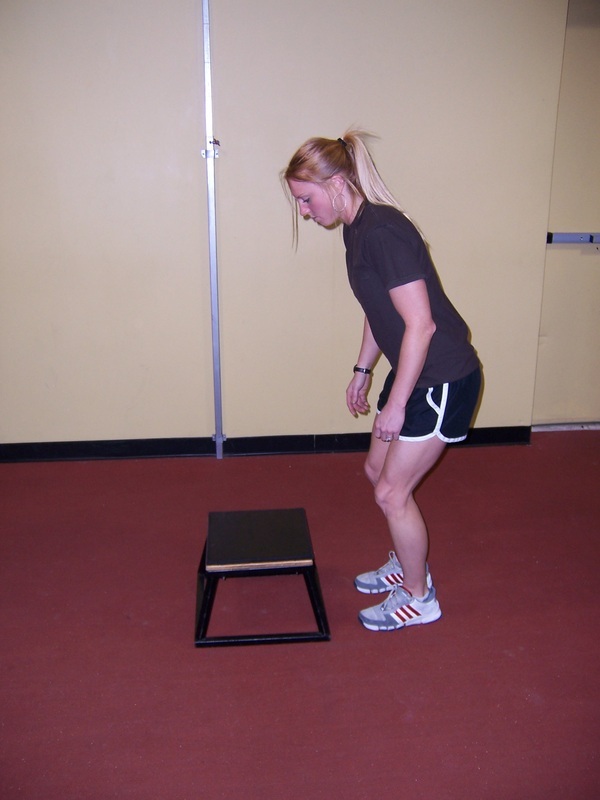 When you first begin box jumps, either start on the lowest box (about 1 foot high) or on something even lower, like a 3-6 inch step. As your performance improves and they get easy at the height you are using, move up to the next one. If your gym doesn’t have plyo boxes, you can use adjustable aerobic steps, benches, or anything else (just make sure that whatever you use is sturdy enough to jump on). 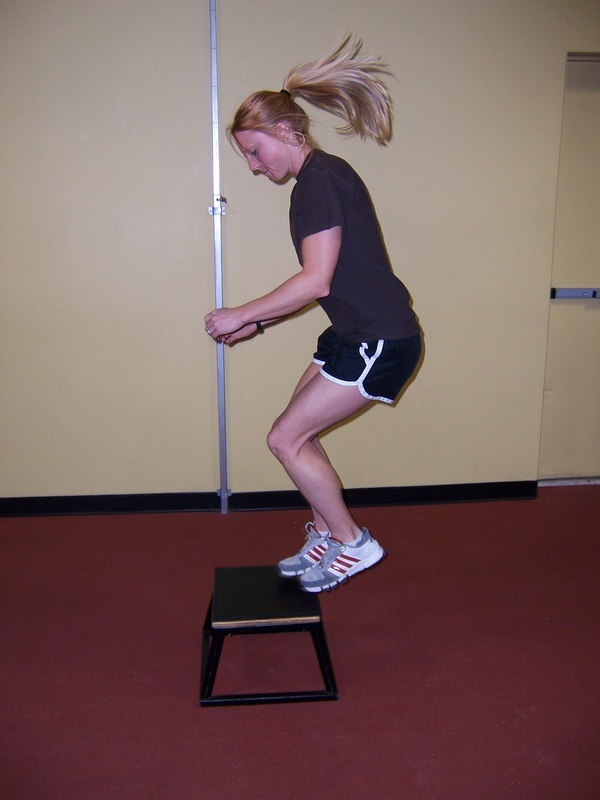 To perform box jumps, stand in front of the box, not more than a few inches away. Drop your body into a quick semi-squat and swing your arms down at the same time. After this quick semi-squat, jump as high as you can with both feet at the same time and land firmly on the box When you jump up, make sure to throw your arms up as well, to create as much power as possible for your jump. After landing on top, hop off of the box backwards back onto the floor. When you jump, make sure that you push off of the ground with power from your thighs first (start out flat footed). If you jump with your toes only, you won’t have much strength. Another important thing to remember is to pick your feet up as high as possible when you jump. If you jump and leave your legs straight down below you, won’t be able to jump very high. Quickly squat, jump, and tuck your legs up under you as high as is necessary to get onto the box that you are using. Sometimes you may have to switch to a lower box for later sets as you get tired. If you are unsure as to whether you can jump high enough to land on a box at a new higher level, you can put it in front of a mirror and jump up next to it as high as possible and watch in the mirror to see if you cleared the height of the box. If you can clear it, you know that you are ready, if you can't clear it, just stick to the same box you were using previously until you build you ability up enough for the new higher box.